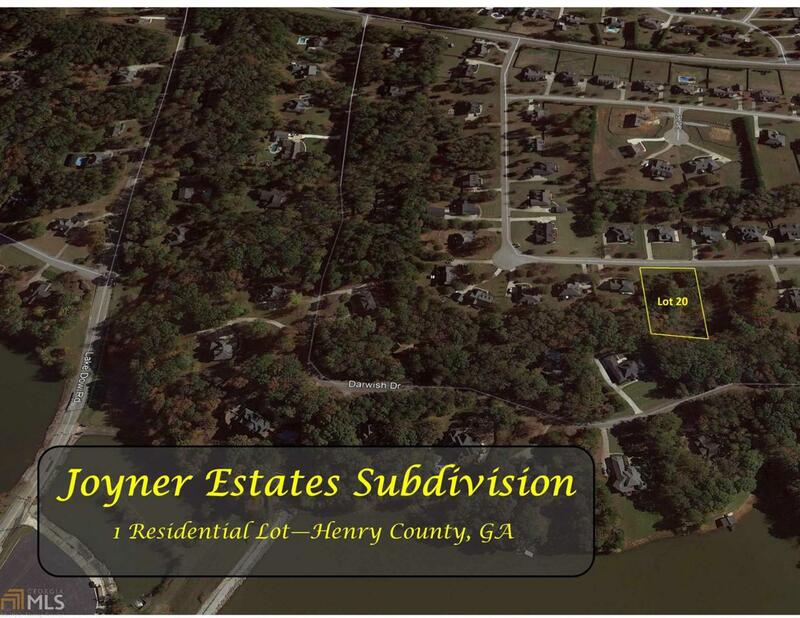 1 residential lot available in the Joyner Estates Subdivision in central Henry county, Georgia. Lot 20 is mostly wooded and approximately 0.83 acres of rolling topography with a small portion of detention pond located on the south end of the property. Joyner Estates has a total of 205 lots and is almost completely built out. Over the last 12 months, homes have sold at an average price of about $288,000. All utilities available to site including public water. Site will require Individual septic tank. Setbacks: Front- 50', Rear- 40', Side- 15'. Minimum home size is 2,000 heated Square feet. Lots are zoned R-2. In the Ola Elementary, Ola Middle and Ola High School districts.